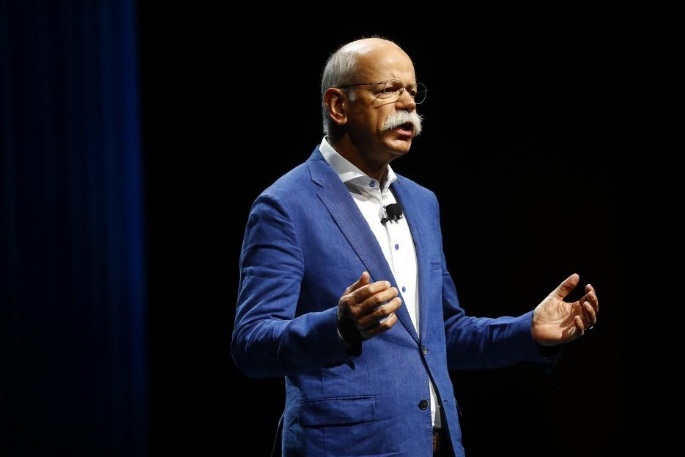 Dieter Zetsche, CEO of Mercedes car maker Daimler AG speaks during the Frankfurt Motor Show (IAA) in Frankfurt, Germany September 12, 2017. The market for electric medium- and heavy-duty trucks is in its infancy. Still, established manufacturers such as Daimler and Navistar International Corp, as well as electric carmaker Tesla Inc and a host of other new entrants, are racing to overcome the challenges of substituting batteries for diesel engines as regulators crack down on carbon dioxide and soot pollution. Daimler’s Mitsubishi Fuso unit began building eCanter trucks at factories in Portugal and Japan earlier this year. The vehicles are designed for delivering goods in large cities and have a range of about 100 km (60 miles) between charges, Daimler said. Customers can order eCanters with more battery packs and greater range, or sacrifice range to carry a heavier payload, Daimler has said. Seven-Eleven Co Ltd of Japan, which in May became the first announced commercial customer for the eCanter, plans to operate 25 of the trucks in its fleet, Mitsubishi Fuso said at the time. Daimler is expected to disclose more details of its plans to offer electric trucks in the United States at a news conference in New York on Thursday, ahead of next week’s conference there on climate change. Meanwhile, Tesla Chief Executive Officer Elon Musk tweeted on Wednesday that the Silicon Valley company would show off a prototype of an electric semi truck on Oct. 26 in Hawthorne, California. Reuters reported last month that Tesla’s semi is expected to offer a range of 200 to 300 miles, far less than the 1,000 miles for some diesel-powered counterparts that U.S. long-haul truckers use. Tesla is also working on automation systems that would allow the vehicle to drive itself and move in platoons of trucks that use sensors and automated throttle and braking systems to follow each other closely on the highway.